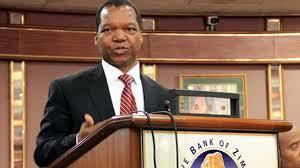 The Reserve Bank of Zimbabwe Governor Dr John Mangudya has assured all fuel companies that a sustainable foreign currency facility has been put in place to ensure that petrol and diesel will be readily available at all service stations. The radical reforms introduced by the new dispensation under the austerity for prosperity mantra are paying dividends, with President Emmerson Mnangagwa’s latest intervention in the fuel sector being a case in point. Dr Mangudya revealed that the panic induced fuel drought has gone and almost all fuel stations are now wet and the fuel import bill which had ballooned to about US$125 million within a short space of time has finally normalised to US$80 million per month. A survey by ZBC News confirmed that long and winding fuel queues seen around the country over the past few weeks have disappeared. The RBZ told ZBC News that the decision by government to increase fuel prices has gone a long way to bring sanity as demand for fuel is now for productive purposes rather than panic or hoarding tendencies. The apex bank assured the fuel companies that a forex facility to secure about 1.2 billion litres of fuel for the whole year has now been ring-fenced following President Mnangagwa’s intervention to bring back sanity in the fuel sector.